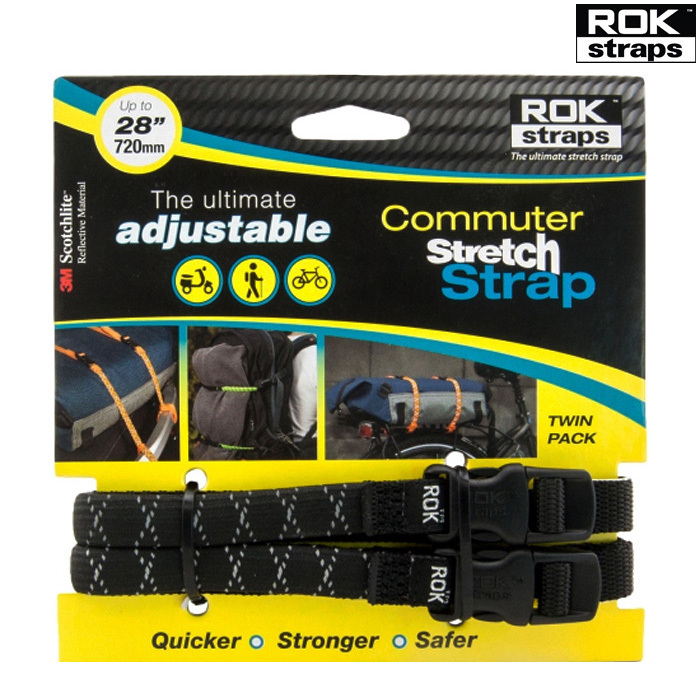 The ultimate adjustable Commuter Stretch Strap with 3M Scotchlite reflective material. - Quicker: Attach to any part of framework. Buckle up, tighten and go. To uload, release tension and unbuckle. - Stronger: Confidently secure 40lb (18kg) in all weather conditions. Length adjustable from 300mm to 720mm (12mm width).